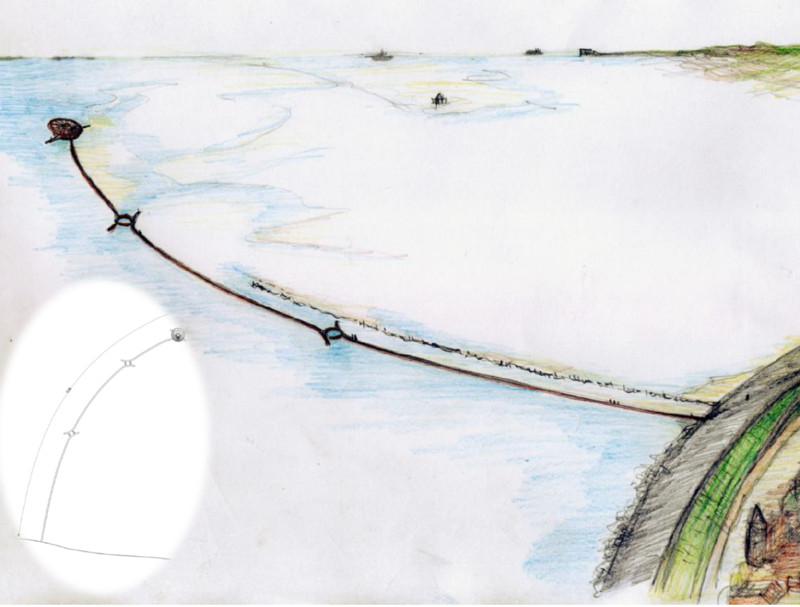 A curved 550-metre pier will run along the dike near the village of Wierum in the future. Visitors can walk across the pier, which runs mostly along the old pier and protects it from further decline. As they walk above the water and the slurry and along three panoramic views and dwellings, they experience the beauty of this unique landscape. The sculpture appears like a mirage, a ship with the bow turned toward the north: this is where the light is caught in a room – a room which provides protection from the wind and the sun and which entices you to linger or walk out onto the mud flats. The Kromme Horne landscape object was created by and for people and in harmony with the natural world. The three ‘roundabouts with exits’ represent the spaces where the tide is caught. The leads to the creation of blowholes which – due to the currents – have had their appearance transformed over the decades. The landscape will be home to salt marshes and rift valleys, with mussel beds to be installed at one and vegetation planted at another, while the presence of the pier will also cause the existing salt marshes to grow again. In an effort to revitalise their village, several of Wierum’s residents decided in 2016 to explore opportunities for new recreational facilities. Many different ideas were proposed and brainstorming sessions were held, including an exchange of ideas and various drawings. It was clear that a spatial element needed to be added to highlight Wierum’s visual qualities: the salt marshes, the mudflats, the endless dikes, the tranquillity, the tide, the colours, the light, the unique history, and the link to local shipping and hiking routes. The visual artist Ruud Reutelingsperger, a member of the Observatorium artist collective, became involved in the initiative, which ultimately resulted in this project. The upshot was that the residents of Wierum saw a longstanding wish become a reality. More information: dorpwierum and observatorium for the great design!